The Gotham Black Electric Fireplace Media Console features a modern chic design that brings style to your home. The brushed nickel and arched base add subtle visual accents to this elegant piece including a low-profile construction perfect for a minimalist. This quality trimmed unit features ample storage with side storage cabinets covered by glass doors. 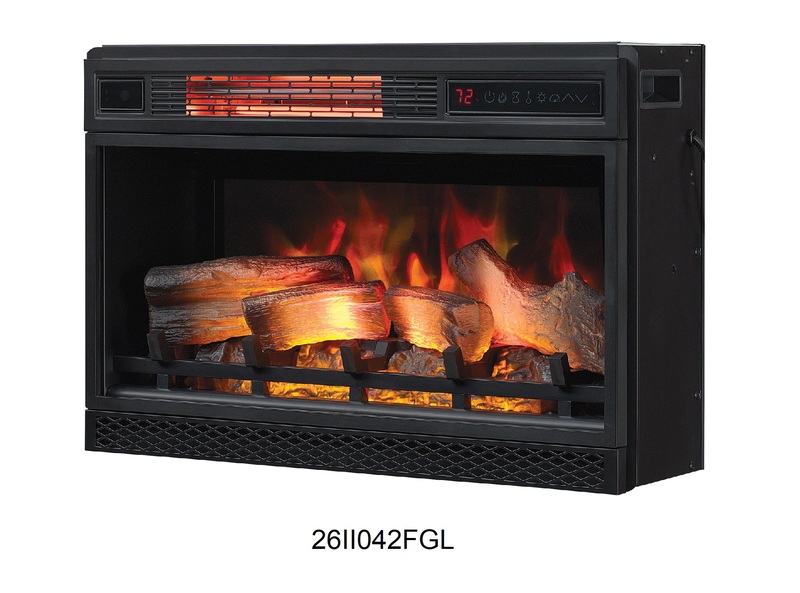 The powerful fireplace offers heat for rooms up to 400 square feet that is controlled by the multi-function remote control. 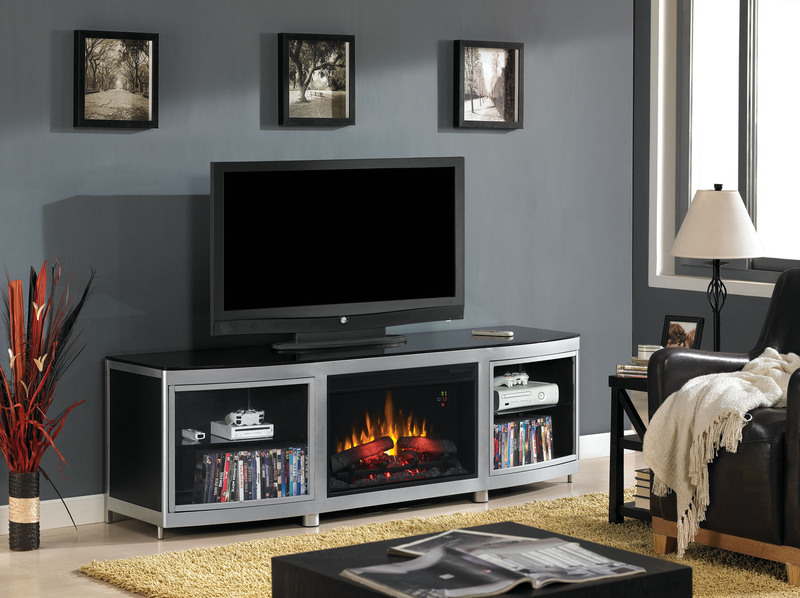 Built with the sleek look of 21st century contemporary furniture, the Gotham TV stand with an electric fireplace makes a cutting-edge living room centerpiece. 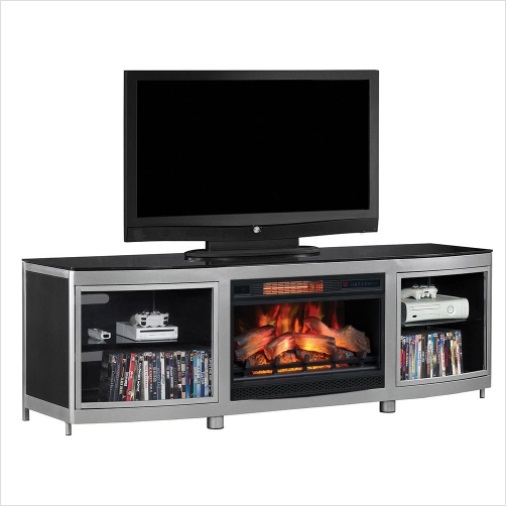 The bow front TV stand features black and metal finishes, and glass-front cabinet doors with brushed metal framing. Display AV components, media accessories or decorative pieces on the cabinet’s smokes glass shelves. 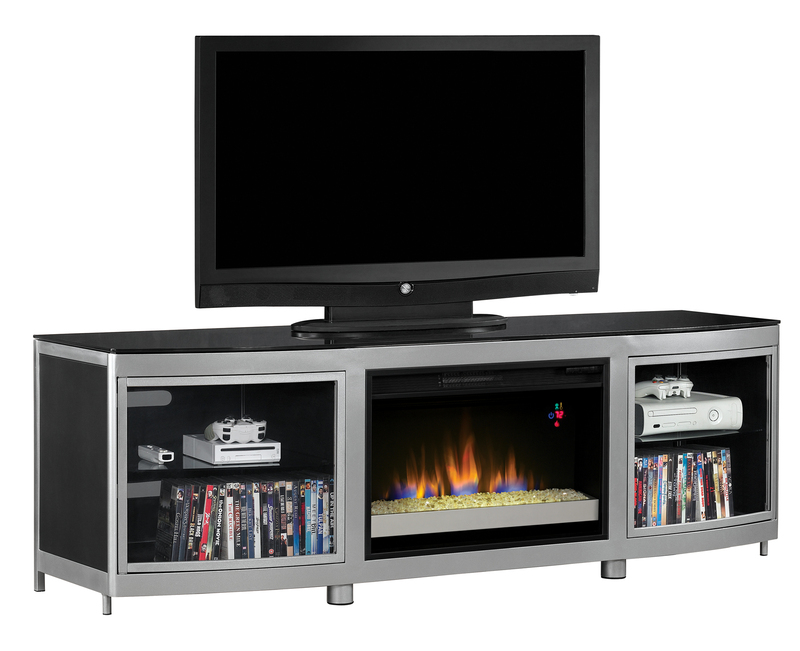 The Gotham TV stand accommodates most flat screen TVs up to 80" and up to 155 lbs. Simple, hassle-free assembly with just a Phillips head screwdriver. 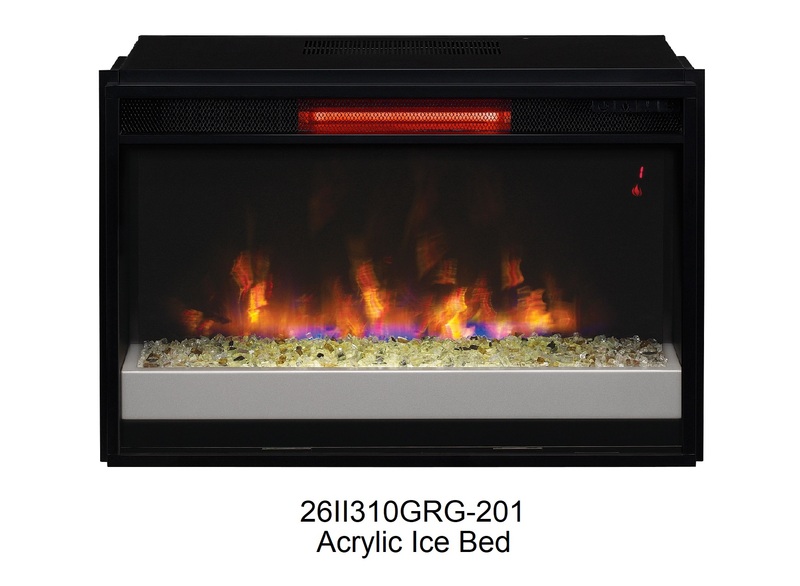 Can this electric fireplace produce blue flame apart from the conventional yellow flame? 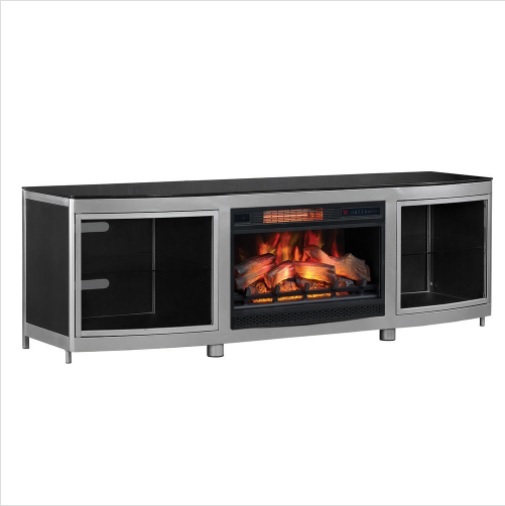 Yes, our 72" Gotham Black Electric Fireplace Media Console - has multi color flame effects that can be changed with the press of a button.